There are always headlines in the press that highlight the position of women in business and they are very rarely positive. Yes there are some great women who are both successful and massively influential but there is also ongoing stories about inequality, unequal pay and a lack of women at boardroom level. Isn’t it time businesswomen stomped that little bit harder and left an imprint on the international landscape of business. There are some excellent women doing just that but they will tell you exactly how hard it is for women to hold positions of power, be consistently taken seriously and warrant the same respect and recognition as their male counterparts. There are plenty of challenges to face out there but why are there? What possible justification is there for these obstacles? There are businesswomen who have been asked by clients if they are intending to have children. This seems to be a deal breaker. But why? Women can take weeks off for pregnancy these days and opt for their partner to raise the child. Is society still hung up on the fact that the woman’s place is in the home with the new-born? – Surely not! Men and women are capable of the same bonds with their children and guilt over taking the supporting role should have died alongside the ridiculous notion that women and men have exclusive roles to play in society. 2) It is the norm! This is the way it has always been. There are more men in business so they always have the majority and it is a male viewpoint and perspective that drives the majority of decisions. It is habit to promote a man, pay men more, and hep men develop their careers. This learnt behaviour is changing but it isn’t a fast change. The world has to get used to new rules and embrace equality at all levels of management. As younger/newer generations work their way to the top these changes should begin to gather momentum. It is a quiet force but there nonetheless. In some religious circles women are a classed as the secondary citizen. These views will not change but their reach is fading. These views tend to be limited to the more devout and sometimes zealot faiths but there is no questioning the fact that they can factor in mainstream business affairs. Thousands of years after their origins women are still battling the words of ancient texts and trying to establish equality. 4) Women are ruthless when in positions of power! I have read this a couple of times – the idea that women become intimidating power hungry assassins when they are promoted into positions of power. Oh please! Why are successful women labelled intimidating man-eaters when all they have achieved is exactly what their male counterparts have. At the end of the day nobody would turn to Alan Sugar and Rupert Murdock and call them sissies! I rest my case – lay off strong independent women. Self-belief: Because everyone with an ambition or dream has to believe in themselves before anyone else will. Ambition: Because no business is stagnant, they are always reaching further and striving for greater success or more challenging targets. That is what keeps them fresh and competitive. Confidence: You need to know how to hold yourself and believe that you are worthy of your ambitions. You are no less than anyone else as you enter a room – you are an equal so hold eye contact, shake hands firmly and keep your head up. Passion: You will not get anywhere unless you have fire and passion to drive you through tough times and continue to drive you through successful ones. Humility: Part of this is accepting that you will not always know everything and that you must keep training to stay sharp and innovative. You must always remember where you came from and make time for people who support you on your way. Sense of purpose: Just having blind ambition and passion will not get you where you need to go so a sense of purpose is essential. You must map out your path and stick to your rules and guidelines – stay true to who you are and what you represent. Assertiveness: Make sure you get your message and your product/service across to the right audience. Be strong and assertive when you need to be. Hard work: This is a given. You will have to work damn hard to achieve your goals and the business will become your life but nobody got anything by sitting on the sofa! Bravery: Commit to risks and follow through with your gut instincts. You need to be strong enough to take calculated chances because again you do not get anything by playing it safe. Persistence: People often forget this but it really is the fuel of any business. You have to keep working and keep putting all that you have into your goals otherwise they will wilt. Never ever give up! Be practical and realistic with your expectations but if the financials weigh up and you have done your research then your dreams are there for the taking. So there you go. Whether you are a man or a woman you know what you have to do. And if you are a woman then just follow your heart and do not stand for any derogatory remarks. We have proven we can do it and we keep on proving it – one day we will stand side by side with our male counterparts and you will have been part of that change – part of that future! Categories: Business | Tags: Business, business women, women in business | Permalink. HMRC are using their powers to crack down on those who break IR35 rules. 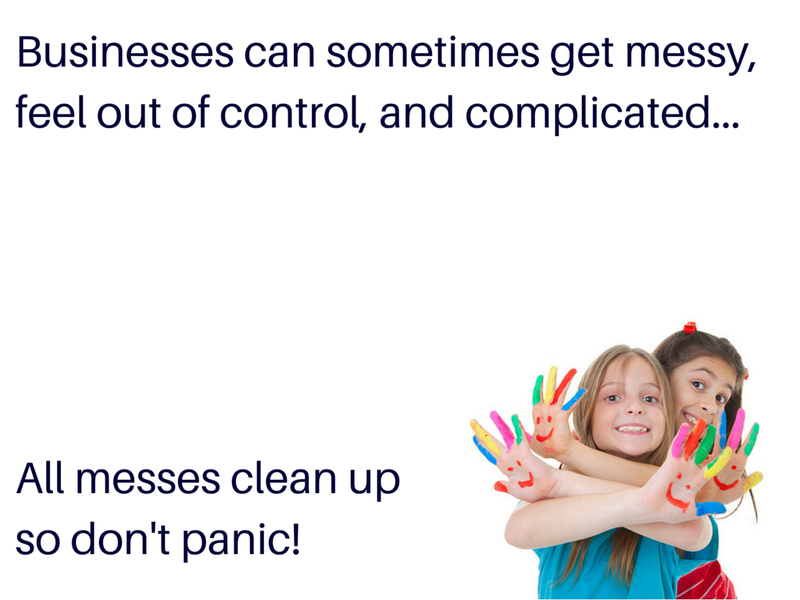 The problem we are seeing with many clients is that those rules can be incredibly complex to unravel. So here is your walk-through of the legislation in place, who it applies to and what HMRC are trying to crack down on. HMRC have special IR35 rules which are designed to prevent the avoidance of tax and national insurance contributions through the use of personal service companies and partnerships. Note, individuals can still operate through either their own personal companies or a partnership, but IR35 seeks to remove any possible tax advantages from doing so. The tax advantages mainly arise by extracting the net taxable profits of the company by way of dividend. This avoids any national insurance contributions which would have been due if that profit had been extracted by way of a salary or bonus. The intention of the IR35 rules is to tax most of the income of the company as if it were salary of the person doing the work. The rules apply if; had the individual sold their services directly rather than through a company or partnership they would have been classed by HMRC as employed rather than self-employed. An individual operating through a personal service company, but with only one customer for whom they work full time is likely to be caught by the rules. On the other hand an individual providing similar services to many customers is far less likely to be affected. One of the major issues under the rules is to establish whether particular relationships or contracts are caught by the IR35 legislation. This is because the dividing line between employment and self-employment has always been a fine one. The individual is entitled to sick pay, holiday pay, expenses etc. If a company has employees who have 5% or less of the shares in their employer company the rules do not apply to the income that those employees generate for the company. Note, in establishing whether the 5% test is met any shares held by family members or associates must be included. The company operates Pay as You Earn (PAYE) and national insurance on actual payments of salary to the individual during the year in the normal way. If on 5th April the individual salary from the salary included benefits in kind amounts to less than the company income from all of the contracts to which IR35 applies the difference net of allowable expenses is deemed to have been paid to the individual as salary on 5th April and PAYE & NIC’s are due to HMRC by 19th April. This is a potentially complex area and we will be pleased to review any contracts you may have with customers to ascertain whether they are IR35 friendly. Please note that there is no such thing as an IR35 compliant contract. For advice on this just email: shell@abc-accounting-services.co.uk or call 01427 613613 and ask to talk to Shell or Ian. Categories: Accountancy | Tags: ABC Accounting Services, accounting, Business, IR35 | Permalink. Then ultimately, we put the idea out of our minds and soldier on. But, is that the healthy option here? Are we a nation of workaholics? Do we take enough breaks? Here are six ways you can make a massive difference to your life and find time for those all-important breaks that you need to keep your energy and sanity levels intact. Everyday there is 100 and 1 things to get done and we could all quite easily rush from one thing to the next without taking time to grab any food or talk to the person that works next to us. In effect all we are achieving is being chained to our desks and when one workload is quickly replaced by another there is no end to it in sight either. So, the only answer is to start saying no sometimes. 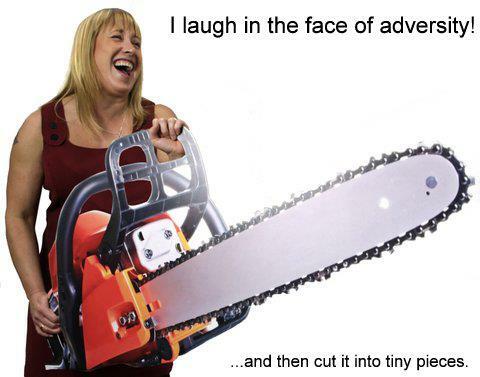 I know – how scary is that? But, the fact is that you can afford to turn down some work, you can afford to put some things on a lower priority list and you can afford to delegate some stuff to others. The skill of saying no is essential to a happy and well balanced life. If you cannot prioritise your workload then you will burn yourself out. Set a routine for your day and stick to it. You will be surprised because people do wait and they will respect the fact that you are taking a lunch break or taking fifteen minutes for a cuppa and brainstorming session. Be ruthless about your day and map it out for you – everything else will fall into place and you will end up working harder during the time that you are at your desk. Do not bury your head in the sand or pretend nothing is wrong when it is. If you allow those worries and stresses to come to the surface then you are enabling yourself to deal with them. This may mean sharing them with someone else, doing a little research or simply admitting to yourself that they are a concern. It can be liberating just to admit that something’s are beyond your control and no matter how hard you work there will always be stresses. 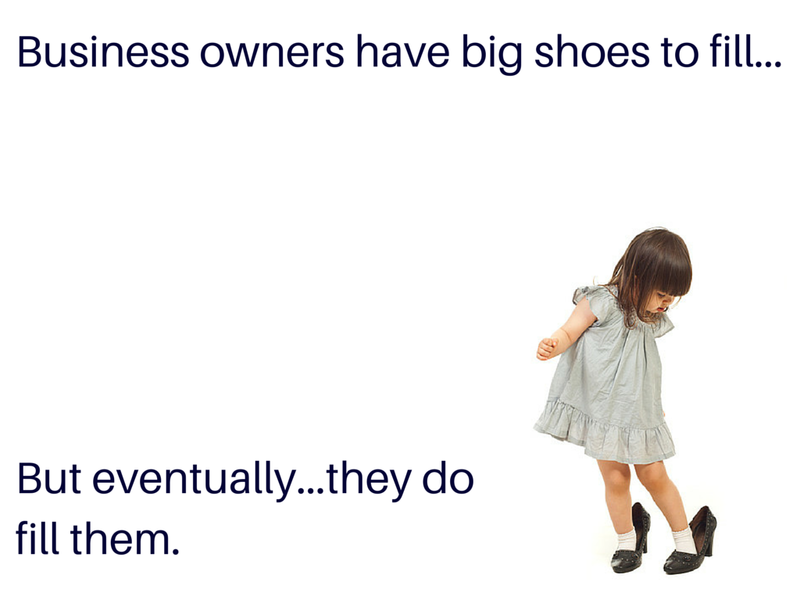 Let them out, write them down, tell someone about them and they will instantly diminish in size and importance. Go over your decisions and try and look at them from different perspectives. This means that you can catch problems early and keep evaluating your choices based on now – making sure they are still the best ones for you to make. Mind maps are always good for this as you can visualise what is going on in that complex brain. There is always a cluster of thoughts revolving around one decision so get them onto paper and then you can see how they relate at which thoughts hold more weight. Try to view the world in a more rational way and do not look at peoples choices as personal. Most decisions are business minded so try and think of their reasons for making them. Annoyance and anger towards others only fuels a stressful working environment and fills you with doubts that are not easily resolved. There are lots of reasons for not making time with friends and family: deadlines, workload, the expectations of others, it’s the social norm these days! But when you do stop you relax and you take in exactly what you are meant to be working so hard to enjoy. There is far too little enjoyment and living going on these days and far too much working long hours taking its place. It is not always the things that you are used to and comfortable with that make you the happiest in life. Take the chances that you are not sure of or just nudge you outside of your comfort zone because those are the ones that tend to open up more doors. Mix up your stable income with something that is a little riskier but could put you in perfect stead further up the line. You never know what you will be missing if you flatly turn down opportunities. Categories: Business | Tags: Business, relaxation, stress, time management | Permalink. Babies keep you up all night, they demand all of your time and energy. They are costly and the responsibility of keeping them safe and giving them a nurturing upbringing is sometimes overwhelming. 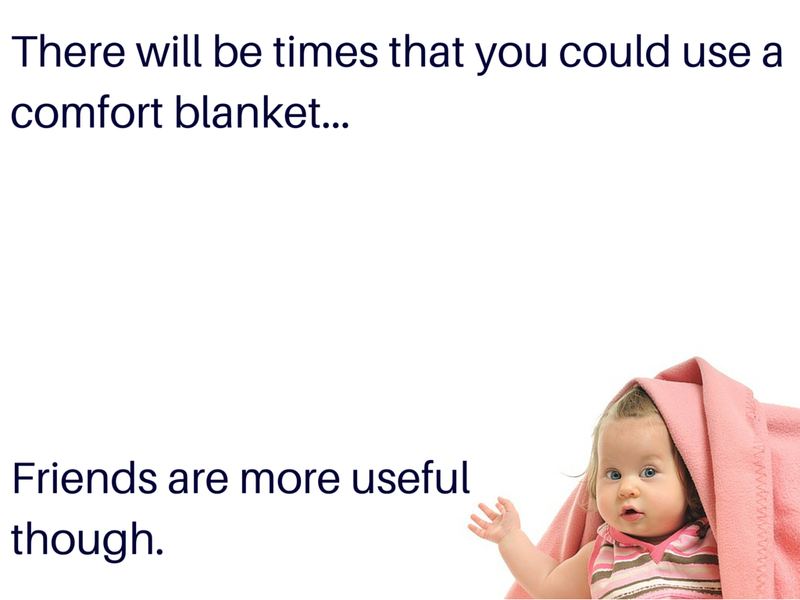 But they are also immensely rewarding and nothing can put a smile on your face quite like a happy and content giggling baby that you helped create and raise. These emotions and sacrifices may well sound familiar. When you decided to start your business you practically gave birth to a baby. No really…you did! Building your business is a huge commitment and at times it will take every ounce of strength, energy and sanity that you have available. People will not understand the sacrifices you make to keep your business on track because unless you have your own baby you do not understand what other parents are going through. The sooner you admit what your business means to you the easier it will be to communicate that to others. It is not just a source of income or the product of you pursuing your passion. It is a combination of those things which makes it incredibly important to you. If you asked yourself what you wanted most from your life as a teenager, you are not going to say a reliable partner and two healthy and happy children. You might – but it is unlikely. You are more likely to answer: to be living the dream – have money and be doing something I love. You want to reach your potential, make your mark on the world and earn a living while doing those things. be made in your image. That is a natural desire as a parent. In the beginning and to some extent throughout that journey your ambition is simply to survive. But, crafting your voice, building your story and standing for something (whatever that might be) can have a huge impact on your chances of survival. and shape it for the better. A company created entirely in ones own image has been suffocated. Whereas one that has grown through a multitude of experiences, mistakes, and leaps of faith is more able to adapt and evolve to suit the changing times and landscapes around it. Categories: Business | Tags: building your business, Business, business advice, business basics | Permalink. What Animal Traits are needed in business? The quick response to the question would be a fighting spirit that doesn’t show mercy and does exactly what it needs to survive. But, what about negotiating skills, building a rapport, understanding people’s needs and presenting a united front. There is so much more to business than meets the eye and a lot more to the animal kingdom than a single glance portrays. From the family orientated, resourceful ant, to the selfless journey of the penguin to provide food for its babies, black and white stereotypes are as ignorant as they are shortsighted. There are times when human spirit and human characteristics just do not seem enough for triumphing over life’s obstacles. This is no exception when it comes to business. We could all ‘roar’ on occasions when a superhuman strength feels necessary to advance past the pressures and stresses our working day throws at us. In fact, we often turn to animal instincts when we feel backed into a corner or challenged beyond our coping mechanisms. There is something very primitive at the core of business. When someone challenges it or issues threaten the survival of your business, your baby, you fight for it. You throw everything including the kitchen sink at it. There are different challenges and different skills required to combat each of them. Does it require? We are looking to the animal world to draw out five characteristics of five animals that could help you face any battle your business encounters. An honourable, solitary, independent, strong and powerful animal. The pack is led by the leader or alpha who can be male/female. An alpha male usually controls the activities of the other pack members but in some cases a very strong female can usurp control from him and lead the pack. Equality has been there in nature all along! 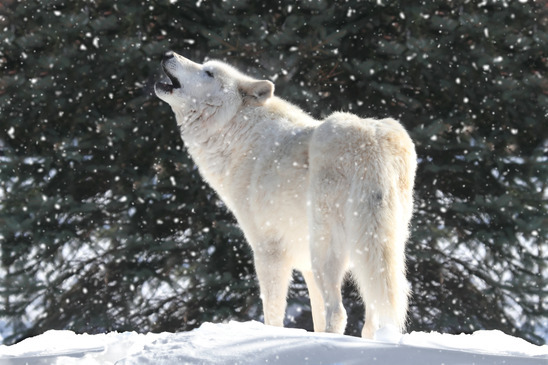 The structure of the pack is beneficial to all wolves in it as they survive in the wild away from human interference. The pack mentality is that there is power in numbers and this also holds true for business. Whether that means you build a team of loyal and complimentary employees or you build a network with other local businesses and exchange business/skills/information with them. These two models can both give you security and strength where it would not exist if you were operating as an individual. Wolves hunt in a group and collectively care for and teach their puppies. Hunting as a group means they can take larger prey. They also relay in the chase so they can conserve their strength by taking charges in turn. This is delegation operating at a very simplistic level but its message is a powerful one. If individual wolves tire there will be less present for the kill and the chance of no food retrieved from a kill at all increases. By sharing the workload they ensure their bounty, create equality, and stay safe. Businesses survive when a team or a pack can suffer some losses and work together for the biggest of gains. You may be thinking that this is an odd choice but there is something about loving animals that make them all the closer to their human counterparts. A golden retriever wants to please everybody. They tend to be loyal, warm, and always there to comfort you. If we humanise them, they would likely find it hard to make tough decisions for fear of upsetting someone. 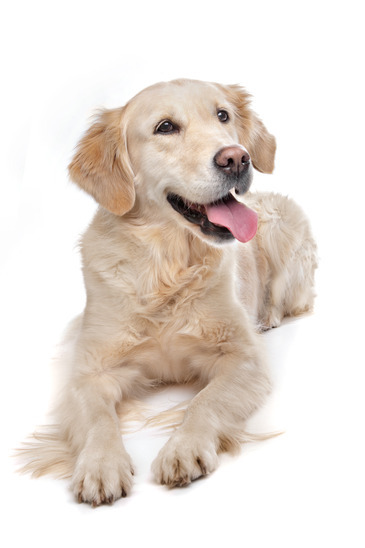 But every workplace needs characteristics of the Golden Retriever. They are trusting, open hearted and loyal individuals. This leads clients/customers to feel appreciated and cared for which is a quality that can never be overlooked. They also gel a team together because they thaw out colder colleagues and continue to demonstrate what a loving and loyal character can bring a workplace. Their relentless efforts are endearing to those around them and they probably make great huggers too! As the cartoon suggests, avoidance is the roadrunners chief skill. Some problems just need to be prevented, ignored, or for want of a better strategy, run from. Roadrunners usually have very sharp observation skills. In the wild they will see a problem immediately and be changing direction almost instantly. They are fast so their solution may be impulsive but they are far from indecisive. 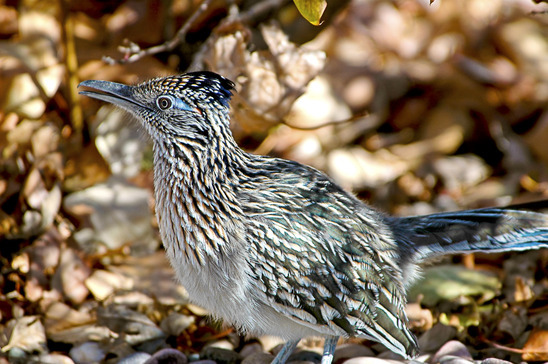 Roadrunners in human form will try to avoid conflict at all costs. It is difficult to find out what their problems are because unlike an Emu that is stationary when it plants its head in the sand the roadrunner disappears from view. They will always avoid petty and meaningless conflicts making them a great remedy to overly dramatic personalities. However, they will allow problems to remain unresolved. Their logic and sharp observation skills will alleviate conflict in a tight team. Given the right time to prepare they will choose not to flee and contribute a very valuable insight into any issue that arises. What do cobras demonstrate in the wild that is a skill useful for business? Possibly on of the core strengths of any successful business leader. It is not quite as obvious as it may first appear. Cobras do not just strike at their opponent with lethal effect. They assess a situation, circle their opponents, and only ever enter conflict if they are certain of the outcome. Unless they are unnecessarily riled or threatened in which case they can have quite a deadly temper! Cobras in human form are calculating and if they can insight others to retaliate for them they will. 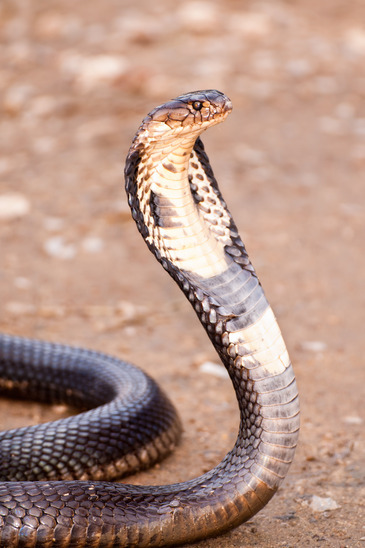 They can sometimes come across as manipulative and scheming but the heart of the cobra is to resolve conflict and constantly oversea the entire landscape instead of getting distracted by small details. Cobras work well when time is put aside to talk everything through, plan the road ahead and let them have their say/give their input. Eagles relish the opportunity to select their prey and decisively put it down. Their hunting strategy is brutally efficient. They have a complete overview of every situation, flying at distance from their target until the perfect opportunity arises. 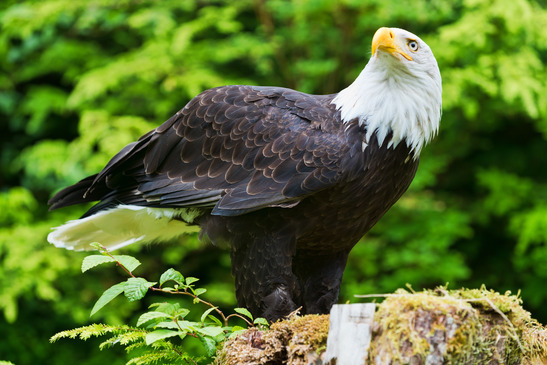 We associate Eagles with nobility, pride, power and prowess. There is something masterful in their skill set and simplistic about how they get what they want and get the job done. Humans who have an Eagle spirit are flawless. 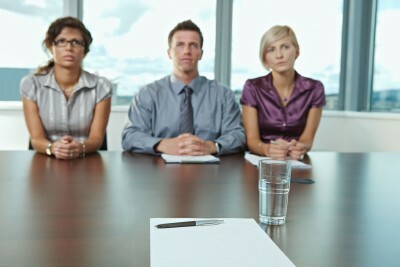 They understand how conflict can be valuable and use conflict management techniques (listening, repeating what’s said to avoid misunderstandings, calmly stating multiple opinions and being open to other solutions). Eagles are often at the core of a business but are very rarely the leader as that is a difficult position to keep neutrality in. If you have hired an Eagle then you have a flawless fighter that should be used in the capacity of mediator and mentor to other members of the team. Categories: Business | Tags: animal characters, animal instincts, animal spirit, Business, eagle, wolf | Permalink. Categories: company status | Tags: Business, Legal status, Limited, limited company, sole trader | Permalink. We are celebrating our ten year anniversary here at ABC Accounting Services. That means we have ten years worth of accounting and business experience to share with the world. Not just that, it also means that we have seen thousands of businesses both fail and succeed in their sectors. The culmination of this knowledge is a list of 50 top tips for keeping your business afloat based around what we have seen businesses benefit from and what we know is sound accounting advice. They wont all be Earth shattering insights, because a lot of business involves common sense, but there will be some nuggets of wisdom in there. We have also thrown in a few light suggestions to keep you amused along the way. So enjoy and hopefully we will continue to entertain and educate our followers for another 10 years – cheers! 1. Good bookkeeping from day one not only makes perfect sense but it will also avoid a lot of long nights and accompanying stress further down the line. Get a system in order from the start and then you will always be on top of your paperwork. 2. Talk through big issues with someone else in business. If you run a business on your own another perspective can be crucial when making big decisions. You will not always agree with someone else’s insight but it does make you consider another viewpoint to that of your own. 3. Always make time for clients when they need it, even if it is not convenient for you. The same applies to customer service for commerce companies. It has to be above and beyond what the client and customer expects if you are to build real trust and respect with your target audience. 4. Leading on from point 3, the most valuable form of marketing today is still the same as it has always been – word of mouth. People talk and the only question you need to consider is whether they will be saying good or bad things about you and your business. 5. Don’t run out of tea, coffee, sugar, or milk. Firstly, because it is really bad for morale and secondly because you will look a right dummy if you can’t offer visiting clients a drink! 6. The traditional advice is to keep personal and business completely separate. ABC has more of a family style bond where the boss is the boss but still a colleague, source of support, and when needed, a friend. Do what works for your business but be careful to keep a clear line so that everyone knows where they stand when tough decisions need to be made. 7. Ignore social media at your peril. Facebook, Twitter, YouTube and LinkedIn are the big four. Instagram and Pinterest are the big movers. It is free marketing that will raise your profile so make sure you know your social media and get your business on there pronto. 8. Making mistakes and learning from them is the most valuable skill that you will learn. No mistake is irreversible unless you do not face it head on and put it right. 9. Keep all receipts from fuel, office supplies, overheads, work clothes, equipment, and hospitality/social functions so your accountant can claim full expenses entitlement against your tax bill . 10. Keep morale high by empowering staff, training them to be the best that they can be, and actively encouraging light relief and social events when the team need them. 11. Write all the important dates on a wall calendar where you cannot miss them: Year End, VAT Return, PAYE, Business Insurance Renewal, Website Hosting Renewal, Employee Birthdays…you get the idea. 12. Buy tons of pens because they have a habit of going missing! 13. Pass on your expertise – make sure people know what you know because it is great for your business, it means that one day you can reduce your hours and share your unrelenting responsibility with others who have followed in your footsteps. It also keep the company ethos strong and in line with what you set out to accomplish. 14. Expand your network so you are connecting with new people over social media and face-to-face on a weekly basis. If you can add one person to your network of contacts each week imagine where you will be in a year and then in five years. 15. Have plan A, plan B, and plan C ready at all times because the first attempt isn’t always the best attempt. 16. Keep reminding yourself why you started your business and ask yourself if it still matches your original objectives and ambitions. 17. Stick post-its on your computer but make sure they are for the most urgent task you have to do at that moment in time. It will help you prioritise critical issues and then once they have been dealt with you can throw the post-it away. 18. Your website is potentially your most valuable asset so make sure it reflects you and your business. Fill it with strong content, make sure it is optimised for searchability, loads fast because visitors have short concentration spans, and is attractive/original. 19. Automated posts, phone systems and digital communication cannot replace the human touch. Make sure your clients/customers know there is a person behind their service and someone who cares, can relate to them, at the end of a phone. 20. 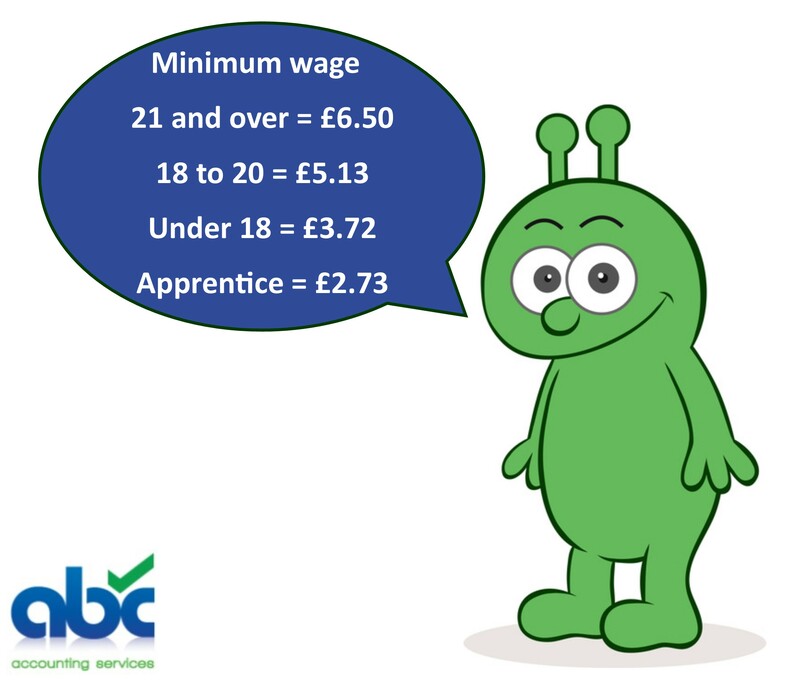 National Minimum Wage (NMW) often goes up on the 1st October, it is illegal not to pay employees NMW so keep updated on changes. 21. Give yourself the credit you deserve and acknowledge your success because you should feel proud of your achievements. Otherwise all you will ever feel is stress and responsibility and that is no fun. 22. Following on from point 21, celebrate successes because you are bound to beat yourself up over mistakes – the Universe likes balance. 23. 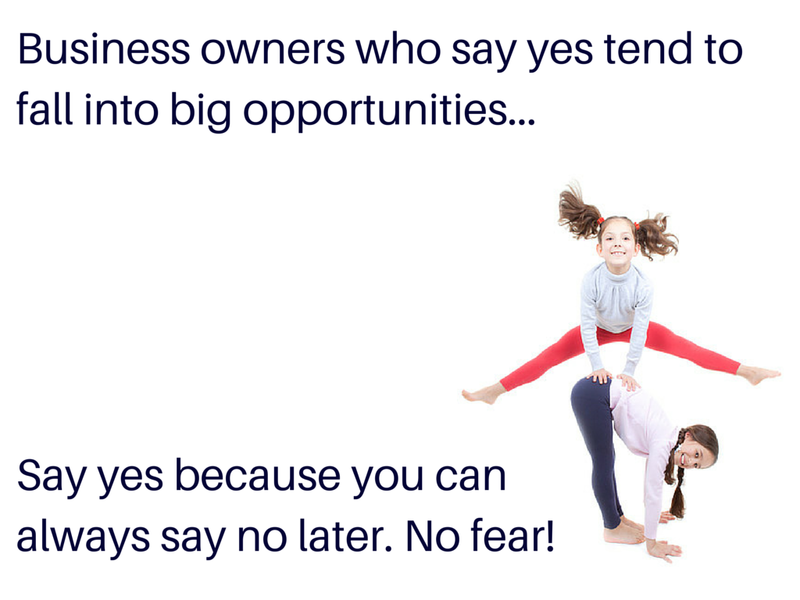 Try not to say no too often, yes opens more doors that lead to more opportunities. Say no and you never know what could have been. 24. Learn to delegate, as much as you want to do everything yourself, you cannot maintain that level of commitment and workload forever. 25. Schedule in personal time. Block out days to spend with the family, trips away, and holidays. If you block out days in your calendar you will respect their importance and make them psychologically harder to put off or rearrange. 26. Connect with local businesses so your can exchange services/products, agree discounts, work on referral arrangements and have a friendly face at networking events to seek out. 27. Only take out a loan if you absolutely have to and make sure you get solid forecasts done to check and check again the feasibility of your business plan. 28. Have a mix of men and women in the office if you can ethically because the opposite sexes tend to have different qualities/strengths. They are not set in stone but generally speaking men and women can often provide different values to the team that compliment each other. 29. Have a dress code and stick to it. It doesn’t have to be suits and skirts, you may prefer a more causal approach. Many technology companies have a casual Friday to boost morale and give everyone a ‘ahhhhhhh’ day. If a policy is in place it is easier to address unsuitable attire issues. 30. Pay it forward by helping the next wave of entrepreneurs or by employing apprentices. Contributing to the future of business in both of these capacities can be financially rewarding in the long-run but it is for the personal satisfaction that most do it. 31. Keep your business account and your personal accounts separate. It makes bookkeeping far easier so if you are doing it yourself it will not take as long. If someone else is doing it that means it wont cost you as much. Sure, you can pay your business account back but will you always remember and keep the appropriate records. So much easier to keep them separate. 32. Call an expert when you are not sure of something. Many experts in pensions, insurance, banking, accounting, the legal sector, and the marketing sector to some extent are happy to offer free advice and may even provide a free consultation. Sometimes you need outside help so make sure you know when to access it. 33. Spend a lot of time interviewing people. Invite them in for trial days and make sure they fit in and you can imagine them being part of your company. Smarts count for a lot but you should also go by your gut – do they feel right? It’s your business so your feelings count. 34. 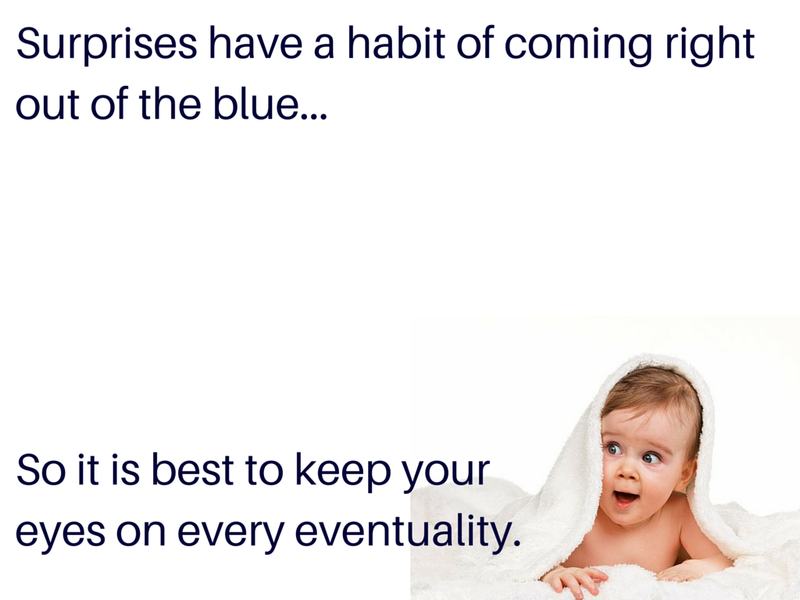 Keep a close eye on in-comings and get a system in place early on that includes chasing outstanding invoices. Too many people sit waiting for the money to appear or forget about half of the invoices they have sent out. That’s your money! 35. Always remember to let your customers know where to go with calls to action. Never let them navigate around your site aimlessly, read your blog, or scan your flyer, without giving them their next destination – a strong pull or hook to something that will tell them more, offering them something better. 36. First impressions are made in seconds – are you giving a good one? Is your team giving a good one? 37. Prepare and practice your introduction for networking events so it comes across smooth and polished and says everything you intended to say. 37. Set expectations that you can exceed. The ultimate goal may take you some time to reach so put in short and medium term goals that give you a motivational push when you need it and a moment of joy and victory when you achieve them. 38. Be passionate and communicate to people with feeling. There is no shame in being excited, energetic and enthusiastic about your business. Too many people fear public reaction to a little confidence and pride but if you are happy then don’t suffocate that. The majority of your audience will actually find that refreshing and endearing. 39. Follow up on leads straight after events. For one thing it is easier because you can remember who you have talked to and are more likely to recall a detail that adds a personal touch to the email/phone call. And they also like immediate contact because it lets them know they were remembered and you are also fresh in their mind. 40. Singing around the office shouldn’t be done on a regular basis but a bit of music and self expression is great for morale and can be highly amusing. Just a thought! 41. Respect everyone that you meet and be courteous to the horrid people you immediately dislike. Why? Because you never know when you might need them or who they may know/be connected to. 42. Only sell what you would buy yourself. Only offer a service that you would be happy with yourself. It is a simple mantra but if everyone did it then we wouldn’t have call centers in countries overseas containing employees that customers just cannot understand. We wouldn’t be able to buy poor quality clothes that only last three washes or vehicles that break down around the corner from the garage! 43. Manage your email by creating sub-folders so that you can filter emails into dedicated areas for each client/staff member/subscription/service provider. You can also have an ‘important’ folder to make prioritising your emails far simpler. Then just make sure you stay on top of them. 44. Rich Tea do make great dunkers but they taste a lot like cardboard. Hobnobs, chocolate digestives, custard creams and ginger biscuits are preferable. Offering clients a cuppa or a coffee is essential, offering them a biscuit is just plain nice (also good dunkers)! 45. Appreciate and encourage staff to motivate them. Pulling them up on mistakes is sometimes necessary but if you smile and provide a solution and incentive to revise and refine that solution then you can turn a negative into a positive. Never leave a conversation on a negative unless the mistake was business or life threatening. 46. Step out of your comfort zone because that is usually where opportunities await you. Everyone would be successful if it didn’t take a few brave steps into the unknown. Be prepared to try new things, trust new ideas and embrace change. 47. Negotiate energetically on price and never take the first quote without a little bartering. You never know what you might save and it isn’t cheeky or rude it is just business. 48. Measure everything and use that data to drive decisions so you always have solid facts to reinforce the direction your business is taking. It will also make you analyse decisions with logic rather than feeling. 49. Budget for tax. Budget for VAT. You will have to pay them both whether you ignore them right up to the deadline or not so it makes sense to set money aside and be ready for them. 50. Do not give up. Most people who are self-employed go through tough patches where they are penniless, disheartened, and beginning to doubt their future. The ones that survive grit their teeth and push on hard. They drag themselves into tomorrow and manage one day at a time until they start smiling again. Not giving up is the core skill embedded in most business owners. As with any advice this is just what ABC Accounting Services Director and team would advise based on their experiences. Everyone is different and you have to learn to navigate your own path and learn from your own experiences. If Ginger Nuts are not your thing then buy in Bourbons. Follow your gut but more importantly follow the figures and continually measure your success against key performance indicators (KPIs). The very best of luck and if you want to discuss your ambitions or issues with someone then we offer a half hour free consultation so just give us a call: 01427 613613. Categories: ABC Accounting Services | Tags: ABC Accounting Services, accounting, Business, entrepreneurs, start-ups, top tips | Permalink.